How Did Steven Brundage Become the Speeding Ticket Magician? Nobody wants to get pulled over by the cops, but, for Steven Brundage, one very unusual traffic stop changed everything. In the very early morning hours of December 5, 2014, Steven was returning home from performing at a holiday party in New York City, when he was pulled over for speeding. The two officers quickly discovered that Steven was a magician and asked if he would show them a trick. The rest – as they say – is history! One of the officers agreed to film Steven’s performance with his cell phone, and then they both watched in astonishment as Steven expertly solved a Rubik’s Cube in 20 seconds, then again in one second, and then again behind his back. You can read about the experience in Steven’s own words on his blog. Needless to say, Steven walked away without a ticket, but better yet, he held a video that would launch him into the national spotlight. His YouTube video quickly went viral, garnering Steven international fame, several national television appearances, tons of media attention and an inbox full of requests for him to perform magic at corporate events, private parties and on college campuses nationwide. Bolstered by his national recognition as an America’s Got Talent Top 12 Finalist in 2016, Steven’s magic remains in high demand. His hilarious, charming and truly astounding shows include his famous Rubik’s Cube magic, as well as a variety of new and original tricks that you will not see anywhere else.  Book Steven now to secure a date for your event!